Co-founding partner and head of the Firm's Air and Waste Practice Group, Paul Gosselink has extensive experience in municipal,industrial and hazardous waste permitting and remediation, as well as air permitting, including oil and gas and proppant air permitting issues. He frequently speaks on solid waste issues, including permitting, the interstate movement of solid waste, RCRA and renewable energy including waste to energy and landfill gas. He is the author of the Solid Waste and Renewable Energy Chapters in the Environmental Law textbook of the Texas Practice Series. 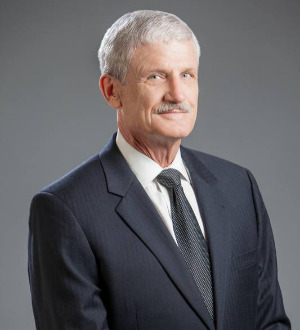 He is a member of the American Bar Association and the State Bar of Texas (Sections on Environmental and Natural Resources Law, Administrative and Public Law, and Litigation) and a board member of the Texas Chapter of the Solid Waste Association of North America (TxSWANA). Paul also serves on the board of the State of Texas Alliance for Recycling (STAR) and is an active member of the Texas Renewable Energy Industry Association (TREIA) where he focuses on geothermal and biomass issues. He served as Assistant Attorney General for the State of Texas (1975-78). Paul is admitted to practice before the U.S. Court of Appeals, Fifth Circuit and U.S. District Courts (Northern District of Texas, Southern District of Texas, and Western District of Texas).